There’s not much evidence that vitamins can prevent heart disease or cancer – the two leading killers of Americans, experts said Monday. Even though half the U.S. population pops vitamins in the belief they can help people live longer, healthier lives, a very extensive look at the studies that have been done show it may be a waste of time when it comes to preventing the diseases most likely to kill you. The findings, by a team at the Kaiser Permanente Center for Health Research in Portland, Ore., being used as the basis to update recommendations by the U.S. Preventive Services Task Force (USPSTF), aren’t clear-cut. They are likely to add to confusion over the benefits of vitamins. "A healthy balanced diet is critical for good health, and that's probably the most important way that we get the nutrients that are essential," says Kirsten Bibbins-Domingo, a heart disease specialist at the University of California San Francisco who's a member of the Task Force. “The USPSTF reviewed 24 studies of individual vitamins, minerals, or functional nutrient pairs. Across all the supplements studied, there was no evidence of beneficial effects on cardiovascular disease, cancer, or all-cause mortality," they wrote. That doesn’t mean people don’t need the nutrients. It’s just that a multivitamin might not be the best way to get them. There are two clear exceptions, the researchers report in the Annals of Internal Medicine. Beta-carotene can raise the risk of lung cancer in smokers, and vitamin E does no good at all in preventing cancer or heart disease. “The USPSTF concludes with moderate certainty that the net benefit of vitamin E supplementation is zero," they wrote. And it’s also clear that vitamins can help pregnant women ensure they have healthy babies. The benefits of folic acid are so clear that flour is supplemented with it. Vitamins are a multibillion-dollar industry in the United States. “Americans spend an estimated $11.8 billion each year on vitamin and mineral supplements,” the researchers wrote. But study after study has returned mixed evidence, at best, that they help most people in any way. The exceptions are people with vitamin deficiencies. The team did what’s known as a meta-analysis, pooling the evidence of many different studies. Evidence is clear that “fruits, vegetables, whole grains, fat-free and low-fat dairy products, and seafood may play a role in the prevention of cancer or cardiovascular disease,” the researchers wrote. The American Heart Association agrees in its latest statement. "We recommend that healthy people get adequate nutrients by eating a variety of foods in moderation, rather than by taking supplements," the group says. Dr. Paul Offit of Children’s Hospital of Philadelphia, who criticizes the supplement industry in his book “Do You Believe in Magic? : The Sense and Nonsense of Alternative Medicine,” says he is not surprised by the findings. There is evidence that taking too many vitamins may be harmful. One study found that too much vitamin E may raise the risk of prostate cancer. And one study of 40,000 women found a slightly higher risk of death in women who took supplements. Even studies showing benefit have mixed results. 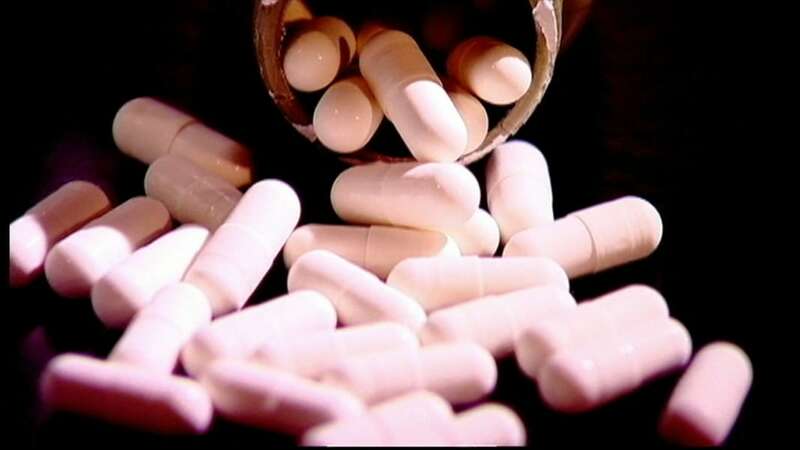 Last year, a study showed that men who took a specific multivitamin had a lower risk of death. But the benefit didn’t extend to women. The Council for Responsible Nutrition, a trade association and lobbying group for the supplement industry, said the findings show the benefits of vitamins. “Your multivitamin provides you those missing nutrients that are missing from poor diet or busy travel schedules and that's really what the importance of a multivitamin is,” said Douglas MacKay, VP for scientific and regulatory affairs at the group. But Madelyn Fernstrom, NBC's Diet and Nutrition Editor and a professor of psychiatry, epidemiology, and surgery at the University of Pittsburgh School of Medicine, disputes this. Consumers should know that taking vitamins does not offset poor lifestyle choices," she says. "Many people fool themselves into 'bartering' for self-selected lifestyle factors. Smokers who take vitamins to support heart health, or sun-worshippers who take antioxidant vitamins to prevent skin cancer, are only fooling themselves."